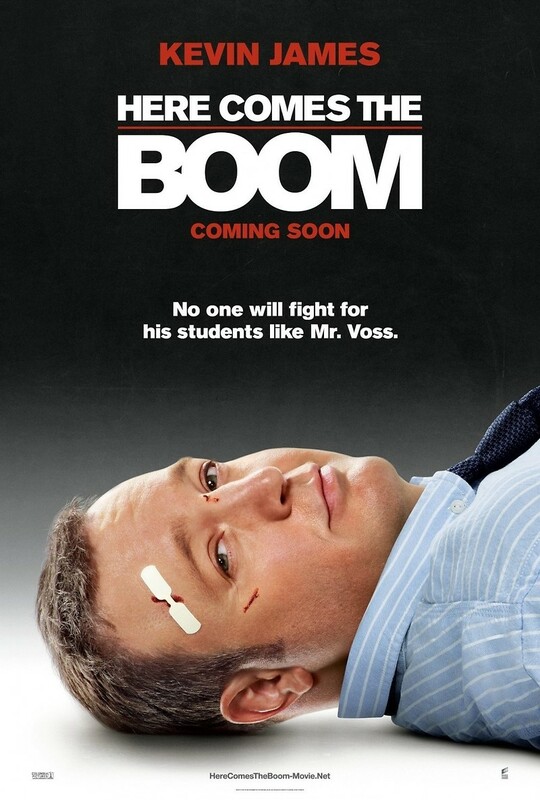 Here Comes the Boom DVD and Blu-ray release date was set for February 5, 2013. Scott Voss is an apathetic biology teacher at a financially struggling school. He finds out that the board plans to cut the music budget since they can't raise $48,000, and fire his friend Marty, the music teacher. Suddenly determined to help, Scott bands together with Marty and his newfound love interest, Bella, to figure out a plan. When he hears about a boxing tournament where even losers make money just for fighting, he gets a trainer and learns that he can take any hit and still survive. As he moves up in the boxing tournament, he has to learn to punch as well as get punched. Those around him offer support, and his continued devotion to the school, the kids and his friend gives him enough guts to fight with all his might: climaxing with him winning the championship and saving the music program!